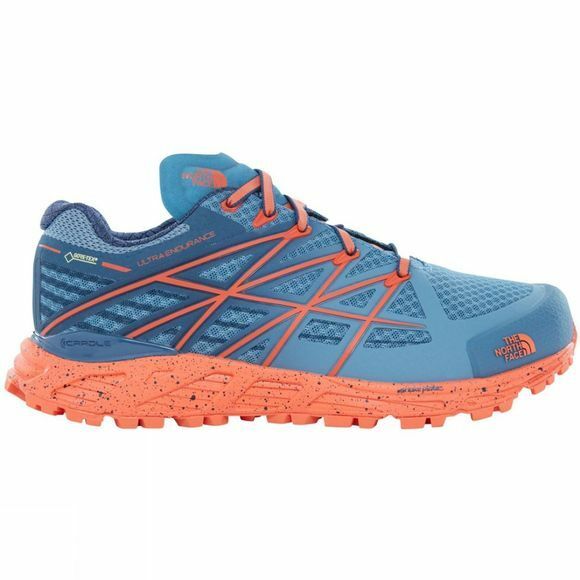 Complete your next long-distance run with ease, even in wet conditions, with the women-specific, waterproof, breathable Gore-Tex trail shoes. 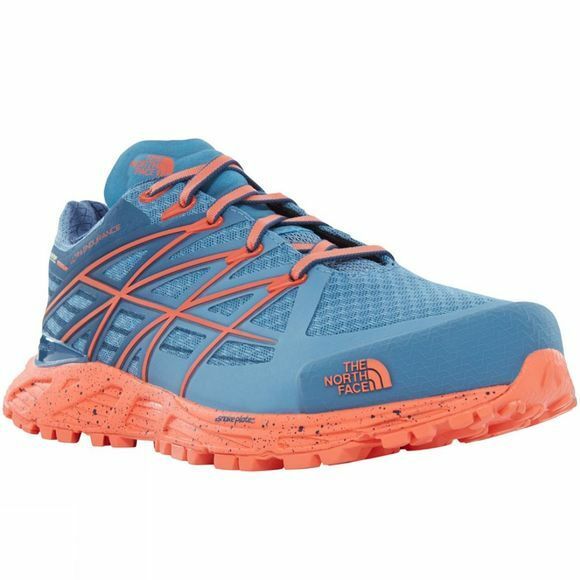 The Ultra Endurance GTX from The North Face features Ultra Protect CRADLE heel-stability technology to support your heel, while Vibram Megagrip outsoles support your feet to give you the traction you need over the roughest trails. The FlashDry collar lining ensures your feet stay cool and dry in all conditions, with EVA inserts in the heel and forefoot for increased cushioning.